Ever since its debut by Toei Animation in Japan in 1989, Dragon Ball Z proved itself to be one of the watershed events in anime history. The series, the sequel to the original Dragon Ball, continued the adventures of Goku and his friends as he faced fearsome enemies – as well as discovering his Saiyan heritage. The series was also the one that had launched FUNimation Entertainment as a premiere anime distributor in the United States and Canada. But while the series had garnered critical acclaim, it had also drew its share of detractors, who mostly complained about the overly-long fight scenes and side stories that didn't fit-in with the plot. In February of 2009, to celebrate Dragon Ball Z's 20th anniversary, Toei released an updated version of the series, this time editing-out the extraneous scenes and correcting some other errors to the plot. 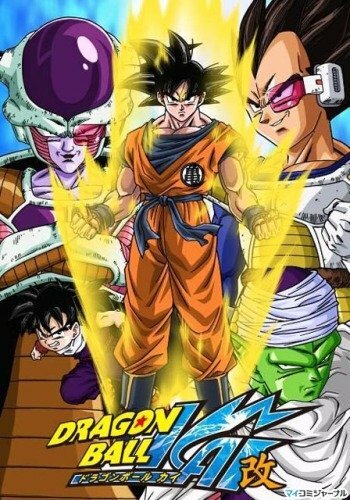 The original run lasted from April of 2009, the beginning of the Saiyan Saga, to the end of the end of the Cell Saga in August of 2011, a total of 98 episodes. But in April of 2014, a run of 61 new episodes ran until June of 2015, which covered the Majin Buu Saga. Good anime series never die... they just get redone!